If you have been reminiscing those good old days from the past when you could visit a circus to watch some fun acts being performed by animals then there is great news. Gemini Circus has come to Housing board Panchkula, Haryana! Drive across the Housing Board Chowk to Panchkula, and you will see huge tents being laid down at the ground adjacent to the traffic lights. Within those tents, you could see a visible signboard reflecting the name loud and clear “GEMINI CIRCUS”. You could instantly sense an air of excitement in the vicinity, with people trying to peep into what’s going on within those tents, which animals are coming, what acts are going to be performed. Well, the wait is going to be over soon, as the shows will be starting from 4th May, 2018. The life of performers in a circus is mesmerizing, and fortunately, you now have an opportunity to watch it from up close and person. As times have passed, circus shows have almost vanished owing to the performers not being able to make ends meet, citing low attendance at the shows. However, we must respect the fact that these people are the true masters of their art. Without our support their art would die, and so will they. So, it is time to stand up and support these performers by attending the circus and making it a BIG HIT! The only question we have to ask you is – are you ready to support these troops? Are you ready to help them keep this art alive, and at the same time have a lot of fun at the circus? 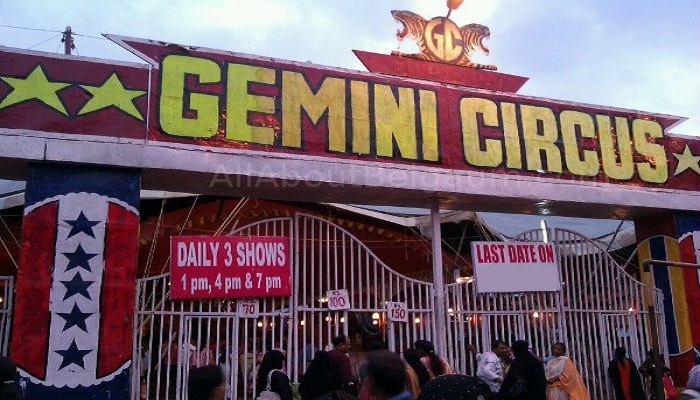 If yes, then don’t forget to visit Gemini Circus! NEXT POST Next post: Elante Mall Chandigarh Brands List For Every Fashion Fanatic!